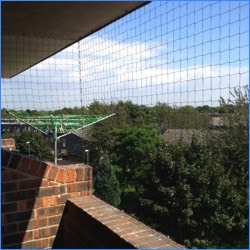 The installation of bird netting is a very effective way of denying birds access to certain areas where they may be nesting or roosting. Netting is made from knotted polyethylene and comes in a variety of colours. 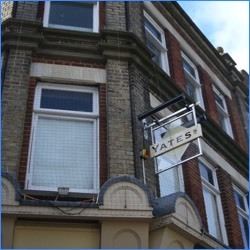 The size of the holes depends on the species of bird being proofed against, with 50mm being the most common for Pigeons. Netting is attached to a tensioned steel staining wire running around its perimeter. This keeps the netting tight and square and ensures the netting is as discreet as possible. 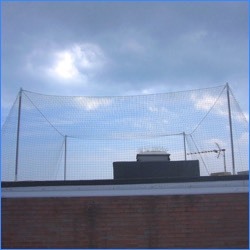 Netting is the most versatile form of bird proofing available. It can be installed vertically to keep birds away from buildings or balconies, horizontally to prevent them from entering light wells or flying up into roosting spots in a ceiling or, using specially designed brackets to hold the netting above head height, even be used to enclose whole areas such as roofs. Fixings are attached at 500mm intervals around the perimeter of the area to be netted. A steel wire rope is then threaded through these fixings and then tensioned using a barrel strainer. The netting is then attached to this wire rope using a special kind of staple called a ‘hog-ring’. 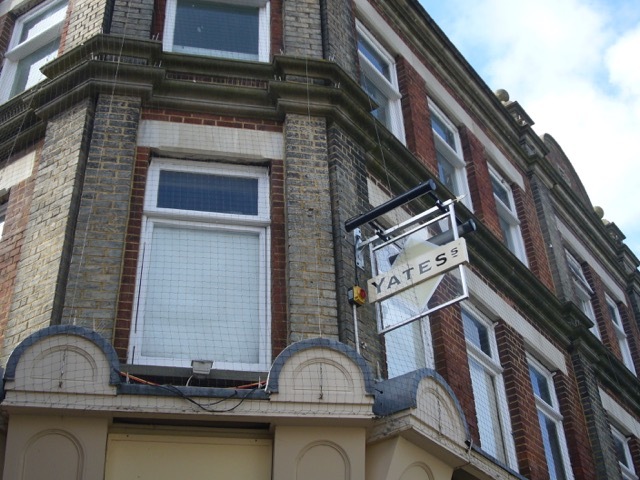 A wide variety of fixings are available for netting which means it can be attached to virtually any material including masonry, metal, plastic, cladding, slate, roof tiles and even glass. 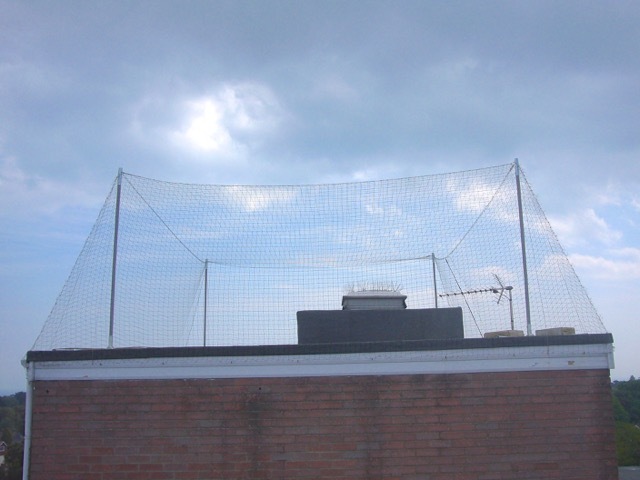 Face nets are vertically installed nets that keep birds off an entire elevation of a building. 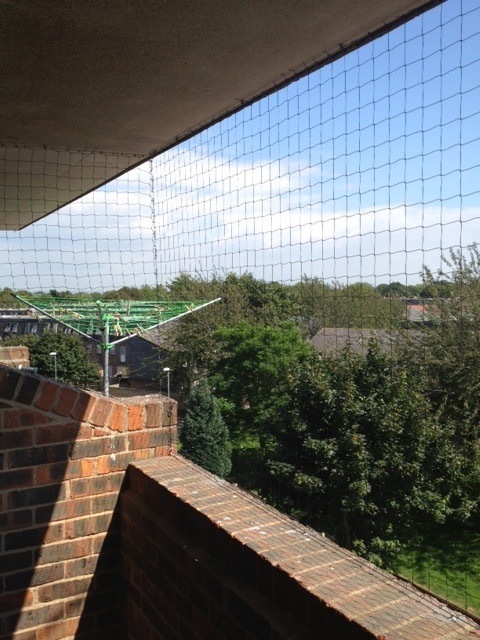 The installation of netting is the only proven way of preventing Pigeons from landing on balconies. 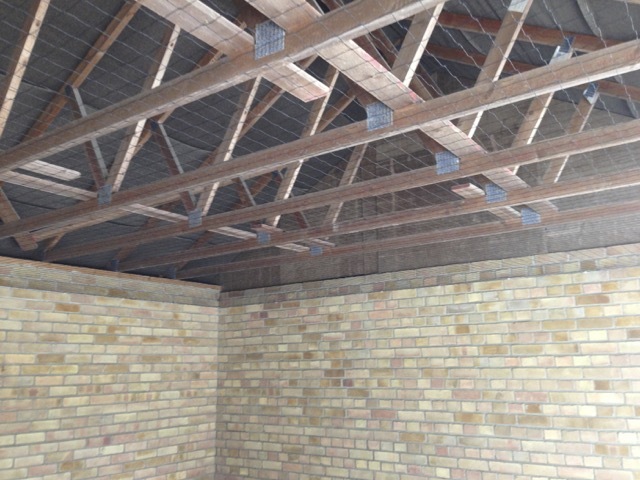 Netting can be installed horizontally to prevent birds from getting into light wells or up into ceiling areas such as this car port. 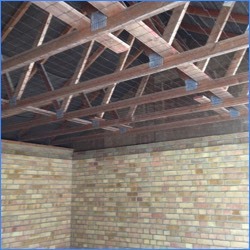 Using specially designed non piercing brackets, even entire roofs can be proofed. 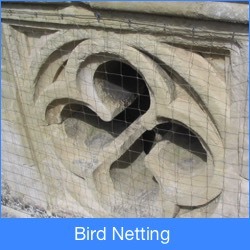 More examples of bird netting can be seen on our gallery page.